B&H, the New York based photo store that has become a major player in online smartphone sales, has a deal on a pair of Sony Xperia handsets and a Samsung smartwatch (via Android Police 1, 2). 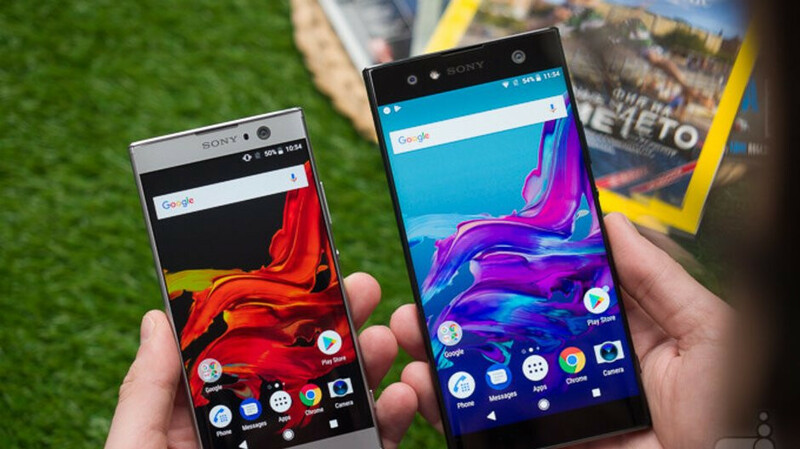 The Xperia XA2, normally $299.99, is $30 off at $269.99. That is a 10% discount for the phone that was launched earlier this year. To refresh your memory, the Xperia XA2 is equipped with a 5.2-inch LCD display carrying a 1080 x 1920 resolution (FHD). The Snapdragon 630 Mobile Platform is under the hood along with 3GB of RAM and 32GB of native storage (24GB available to the user). A 23 MP camera adorns the back and there is a wide angle 8MP camera in front for selfies. Keeping the lights on is a 3300mAh battery. Android 8 Oreo is pre-installed. This is the unlocked North American version of the phone, and while it is compatible with GSM carriers like AT&T and T-Mobile, it also will work on Verizon. The Sony Xperia XA2 Ultra has a larger $120 discount taking the price down to $279.99. This is a 30% price break for the handset, which includes a 6-inch LCD display with a 1080 x 1020 resolution (FHD). This model also is powered by the Snapdragon 630 Mobile platform, but includes 4GB of RAM. 32GB of internal storage is inside (24GB is available to users). The camera combo from back to front weighs in at 23MP and 16MP respectively, and a 3580mAh battery keeps the lights on. Android 8 Oreo is pre-installed. This is the unlocked, North American variant of the device and is compatible with GSM networks such as those belonging to AT&T and T-Mobile. No Verizon compatibility with this phone. The Samsung Gear S3 Frontier smartwatch is just $199.99 at B&H for a $100 or 33% discount. This is the sportier version of the Gear S3 (compared to the "Classic") with a 1.3-inch AMOLED touchscreen carrying a 360 x 360 resolution. A 1GHz dual-core processor powers the timepiece, which comes with 768MB of RAM and 4GB of storage. Running the show is Tizen 2.3.2, and the 380mAh battery provides up to four days of power on a single charge. The watch does have an IP68 certification rating allowing it to be submerged in up to nearly 5-feet of water for as long as 30 minutes. With the voice call app, users can make and take phone calls via Wi-Fi. The watch will also track your health using the Samsung S Health app, and with the device you can use mobile payment system Samsung Pay. The watch is compatible with Android phones running 4.4 or higher with at least 1.5GB of RAM. It will also work with Apple iPhone models running iOS 9 and higher. While B&H is out of stock, more inventory is expected in a couple of days. So if you do order the Gear S3 Frontier now, it might not ship for a couple of days.